How can Office Design Influence Company Culture? Every company is different, each with their own cultures and traditions – and their own preferences to the way that their employees work. And whilst some part of that culture may be enhanced though the choice of employees and habits in the office, the actual layout and interior design of the office can also be highly influential. Research carried out by Zerella, Albrecht & Von Treuer suggests that office layout has a significant impact on employees’ perception of the organisation that they are working for, and this consequently has an effect on employee behaviour and productivity. It is important, therefore to ensure that your office layout and interior design is conducive to the kind of company culture that you want, and this is something that you should bear in mind if you are either refurbishing your existing space, or looking for a new office space. · Clan Culture– A company who is more like your family than your actual family, and who operate on a set of shared values. Leaders and managers are seen to be more like mentors than bosses, and teamworkand participation is the key to the success of a business which holds care for clients and employees at its core. · Adhocracy Culture- An innovative, creative and dynamic company, who pride themselves on their getting things done well and quickly. Employees are encouraged throw ideas out there and managers are set on empowering employees, creating entrepreneurs, working in teams and collaboration to create a successful and high energy company. · Market Culture– This is the tough-guy company, who’s ethic is centred completely on competition, results and getting things done. Having a reputation for being successful is the most important thing for their employees and managers – here it really is a dog eat dog world! · Hierarchy Culture – A company with a Hierarchy culture is based on tradition, procedure and defined roles. These companies are focused on having an efficient and well organised workforce, based on authority and accountability. Each culture type can be consequently be enhanced by different office design. If you are trying to promote a clan culture in your company, office layouts should be open plan, or with low workstation panels, to encourage conversation and collaboration, as well as a sense of everyone being together and caring about each other. Interaction is the key. To promote the adhocracy culture in your office, you want to let the creative juices flow. Make it fun and playful and provide areas where employees can escape from work – maybe by including a table football table or other ‘toys`. You should try to create different kinds of spaces for individual working, or small or large groups, where employees can mingle and let their imaginations run away with themselves. When productivity and success is the key to your business, you need to make sure that your office space is conducive to productivity and success. This means giving people the tools that they need for success, but without the need for many collaborative spaces. Workspace dividers can be higher (although not too high to not be able to shout your success over the office), and open plan offices aren’t always the best idea. The office layout for businesses with hierarchy culture are best divided into areas so that no-one is in doubt over who people are and what they do. Creating separate offices for departments such as finance or human resources is useful and management or higher management are often allowed to be locked away in their own office. 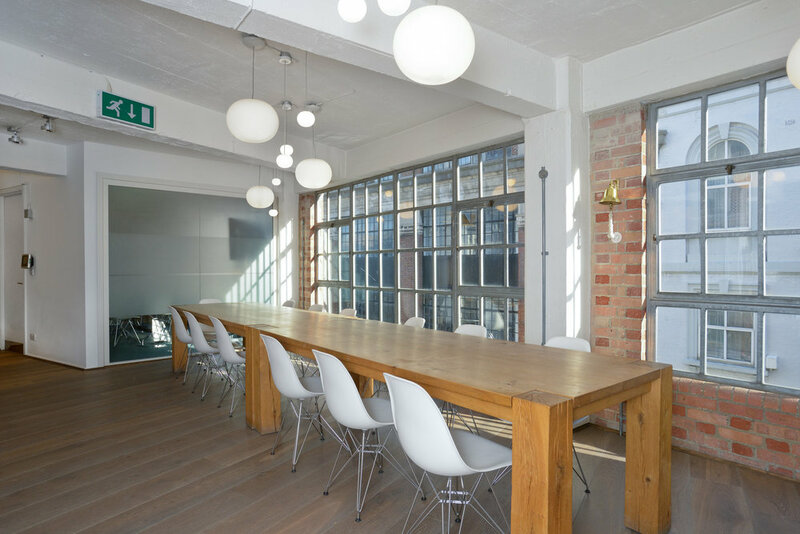 As the old saying goes, a ‘productive workforce is a happy workforce’ and your office layout can be integral to keeping your employees happy. By allowing them to be satisfied and successful (whatever their interpretation of ‘success’ is) you will ensure that you continue to get the best out of them. Regardless of what kind of company culture that you are striving for, it is important that you give your employees every opportunity to do their work well, in comfort and being cared for. Having a strong sense of identity and company culture is essential and designing your office accordingly can help to give this a boost. We've decided to take a 'digital detox' here at Forster Inc, shifting our priorities towards experiences over sitting at a desk. Not sure where to start decorating your space with indoor plants? There are 3 spaces in every home that work best with greenery. Follow our guide to see how you can easily incorporate houseplants into every room in your house. Clerkenwell Design Week 2017: Are Flexible Workspaces Becoming the Norm? This year at Clerkenwell Design Week, I was lucky enough to attend a few interesting talks, including How We Work Now: Are Flexible Workspaces Becoming the Norm?. While each speaker had a different perspective, there were 3 themes that stood out overall as the factors shaping the future of the workplace.